In 2002, a JMHS parent, Maria Coyle, developed a teacher recognition award call the Triple I Award. “Triple I” stands for Innovate-Instruct-Impact and the awards are designed to acknowledge the teachers that have been exceptional educators in the eye of their peers, their students and the students’ parents. Nominations are being accepted now through May 3 for this year’s awards. Ten teachers will receive the honor of being named a Triple I teacher, based on the nominations received. A nomination form is attached below. Hard copies are also available in the main office. In prior years, one award winner was selected as Teacher of the Year; however, FCPS has changed their program and that teacher will be selected in October through a separate nomination process. A total of 212 students from 13 Fairfax County Public Schools (FCPS) high schools and the Fair Oaks Classroom-on-the-Mall were recognized as finalists at the 2019 Virginia DECA State Leadership Conference held March 1-3 in Virginia Beach. Two hundred five students earned the right to attend the DECA International Career Development Conference April 27-30 in Orlando. Three FCPS students were elected to state office: Shritha Mandava of Oakton High School was elected president, Ally Silas of Oakton High School was elected executive vice president, and Victoria Heidt of Madison High School was elected Region 2 vice president. Read more..
Graduation will be held at DAR Constitution Hall on June 7, 2019 at 7:00pm. For details, visit the Graduation Information Page. The Teacher & Staff Appreciation lunch will be held on Wed. April 24th. April 5, 2019 is a teacher work day and Madison Drama is offering a camp for kids age 7-14. Registration is now closed. Check this list to see if you have purchased a yearbook. This list is hosted by our FCPS Google account, so your student will need to log in with his name and password to check this list. This list was updated on January 20, 2019. If your name is not on this list, you have not ordered a yearbook. Yearbooks may be ordered online at www.yearbookordercenter.com. Our school code is 5307. If you would like to write a check, you can print this order form and mail it directly to the publisher. Madison High School and the PTSA continue to work together to provide a Food Pantry for students and families in need. And we need your support! We distribute approx 30-40 bags of food each week to Madison students (and their families) in need. This school year, we have also provided school supplies as well as winter clothing to our students in need. Through a partnership with CHO, we were able to provide bicycles for those that needed them to get to work and school. And we provided approx 125 bags personal hygiene items to students before winter break. We also have partnered with BRAWS to provide feminine hygiene products each month to students in need. Thank you to all who have supported this effort! 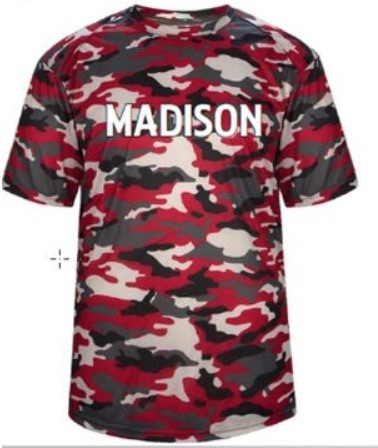 Here are ways that you can still help: Purchase items needed on a continuing basis and deliver to Madison HS front office, order items directly from Amazon, they will ship to the school, or make an on-line donation. Congratulations to Mr. Hackbarth and all band students! The Wind Symphony and Symphonic bands received the highest rating of Superior and the Concert band received an Excellent rating at their state assessment performances on March 22 and 23. At assessment, the bands each performed 3 pieces of music for judges’ evaluation and then performed a piece they were seeing for the first time. Their results are attributable to hours of individual practice and group rehearsals. On March 2, the Winter Guard traveled to Powhatan VA for a Regional competition where they placed 6 th in the Finals. On March 9, they took 7 th place at the WGI Regional in Pittsburgh, PA. On March 30, they will end their competition season at the State Championship at Mount Vernon HS in Alexandria. Come join the Jazz Band on April 1, 2019, at 7:00 pm for a fabulous evening of jazz in the club atmosphere of Jammin’ Java! Doors open at 6:00 pm. You can purchase your tickets from Jazz Band Students or by contacting Sylvia Martin Estes: sylviamartinestes@gmail.com. Tickets are $15 each cash/check (payable to JMHS Band) or $16 each with debit/credit/PayPal. To purchase with PayPal, go to the band website: www.jmhsband.org; the PayPal link is in an article about the Jammin’ Java show on the home page; tickets can be picked up at the Will-Call table at the event. Please purchase a paper ticket from the Band–we get 100% of the pre-box paper ticket sales (NOT online at Jammin’ Java website)! April 26: Jazz Band performs at the Big Band Jam at the National Museum of American History, 2:00 pm.